Russian Deputy Prime Minister Vitaly Mutko said that being given a lifetime Olympic ban doesn't have any impact on his current work with FIFA. He heads the organising committee of football's next World Cup. 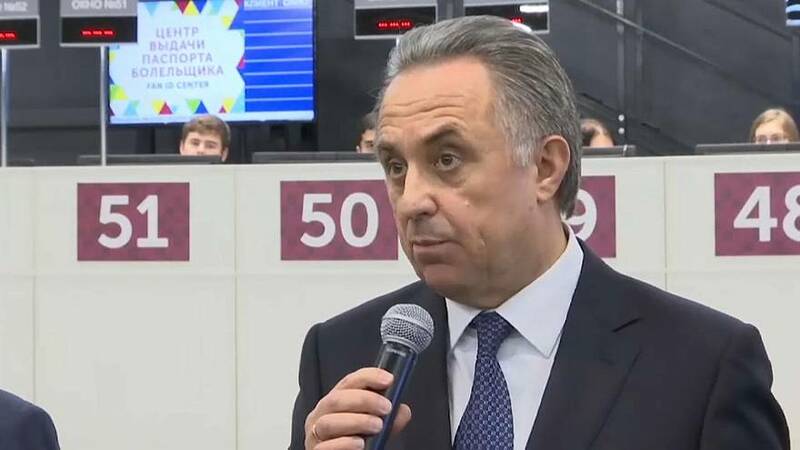 As sports minister in 2014, Mutko was deeply implicated in the Sochi doping plot, but distanced himself from any blamed. "I wanted to tell you, and I said that many times with all your questions about resignations. There are people who should get sacked. That's first. Secondly, now I must simply be with the athletes who are, I am sure of it, unrightfully punished." But clean athletes will be allowed to compete in the Winter games under the Olympic flag. Dmitry Medvedev, the Russian Prime Minister reassured athletes that they would still get the support of the government to go to the games. "As for the government, I want to assure you that we support any decision of the athletes. We will cheer for those who go to the Olympics as well as for our Russian athletes. And we will help those who were deprived of this opportunity. The government must prepare the paperwork." This will be a relief to the innocent athletes who've often trained for a lifetime.